This article demonstrates the installation steps of Hyper-V role on Windows Server 2016 and how to create a virtual switch and virtual machines in Hyper-V. To create and run virtual machines, first, you need to install the Hyper-V role on Windows Server 2016 by using either Server Manager or the Install-WindowsFeature cmdlet in Windows PowerShell. To install Hyper-V on a server you're connected to remotely, run the following command and replace with the name of server. If you're connected locally to the server, run the command without -ComputerName . If you install this role on a server that runs the Server Core installation option of Windows Server 2016 and use the parameter -IncludeManagementTools, only the Hyper-V Module for Windows PowerShell will be installed. You can use the GUI management tool, Hyper-V Manager, on another computer to remotely manage a Hyper-V host that runs on a Server Core installation. A virtual switch allows virtual machines created on Hyper-V hosts to communicate with other computers. You can create a virtual switch when you first install the Hyper-V role on Windows Server 2016. 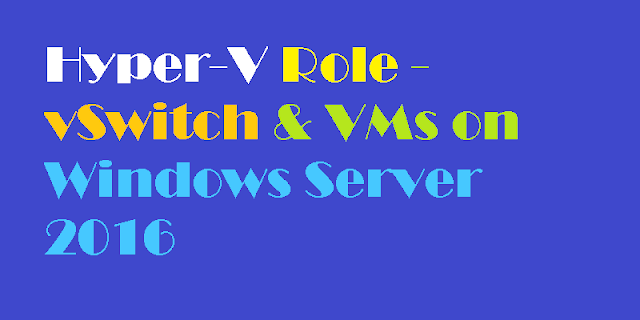 To create additional virtual switches, use Hyper-V Manager or Windows PowerShell. 3. Choose the type of virtual switch you want. 4. Select Create Virtual Switch.5. Add a name for the virtual switch.6. 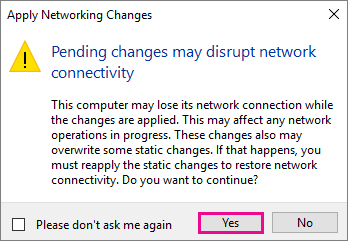 If you select External, choose the network adapter (NIC) that you want to use and any other options described in the following table. Enable single-root I/O virtualization (SR-IOV) Select this option only if you want to allow virtual machine traffic to bypass the virtual machine switch and go directly to the physical NIC. 7. If you want to isolates network traffic from the management Hyper-V host operating system or other virtual machines that share the same virtual switch, select Enable virtual LAN identification for management operating system. You can change the VLAN ID to any number or leave the default. This is the virtual LAN identification number that the management operating system will use for all network communication through this virtual switch. Make the appropriate choices for your virtual machine on each of the pages. -Generation is the virtual machine generation. Use generation 1 for VHD and generation 2 for VHDX. -Switch is the name of the virtual switch that you want the virtual machine to use to connect to other virtual machines or the network. 5. Start the virtual machine by using the Start-VM cmdlet. Run the following cmdlet where Name is the name of the virtual machine you created. Location:C:\ProgramData\Microsoft\Windows\Hyper-V\. You can also enter your own name and choose another location for the virtual machine. Specify Generation Generation 1 You can also choose to create a Generation 2 virtual machine. You can also choose to use Dynamic Memory. Configure Networking Not connected You can select a network connection for the virtual machine to use from a list of existing virtual switches.